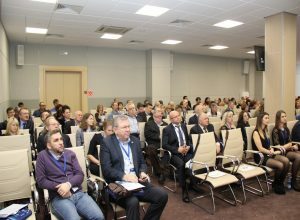 “Groundwater-2017” was held in Essentuki, Russia from 29 November – 1 December 2017. It assembled a wide range of leading scientists and practitioners in groundwater use and assessment of reserves. The conference was organised by the Federal Subsoil Resources Management Agency, the State Commission on mineral reserves, the Geological Center of St. Petersburg University, Eurasian Union of Experts on Subsoil Use (ECOEN) and IAH. Representatives of state authorities of the Russian Federation and the Ministry of Natural Resources and Ecology of the Russian Federation welcomed the participants. The 186 participants represented the Russian Academy of Sciences, large commercial companies, scientific hydrogeological institutes, from Russia, Turkey and Kazakhstan. Discussion was very fruitful; many important improvements in the current legislation on groundwater use has been proposed and taken into account in the Resolution of the conference with recommendations for the state authorities. Essentuki is a remarkable place, situated in the North Caucasus, a region famous for its unique mineral waters. The post-conference fieldtrip to the town of Pyatigorsk was devoted to the history of the place and study of the local mineral waters. It also pricked the emotions of the Russian audience by visiting the location of the death of the great Russian poet Mikhail Lermontov, who was killed on a duel in Pyatigorsk in 1841. IAH’s Vice President for Eastern Europe and Central Asia Natalia Vinograd gave a presentation about IAH, highlighting its role in the development of world groundwater science, she was also session moderator. It was noted that more Russian members would enable greater influence of global trends in the development of hydrogeology. Natalia distributed forms and information, in expectation of encouraging more in the region to join.